In this episode, Audrow Nash speaks with Torsten Oelkes, Executive Chairman of CUBE, about the CUBE Tech Fair. The CUBE Tech Fair is a conference that takes place in Berlin in May that seeks to facilitate connections between companies. The Tech Fair also features a start up competition where the winner will be awarded €1,000,000 without exchange of equity or debt. In this interview, Toresten talks about CUBE’s business model, the robotic companies they’re affiliated with, the CUBE Tech Fair, and the €1,000,000 prize. For the past 15 years Dr. Torsten Oelke has been an active player in the German digital economy. As a businessman, he built up companies and incubators. Besides his business activities, he serves as advisor to the German Minister of Economic Affairs. 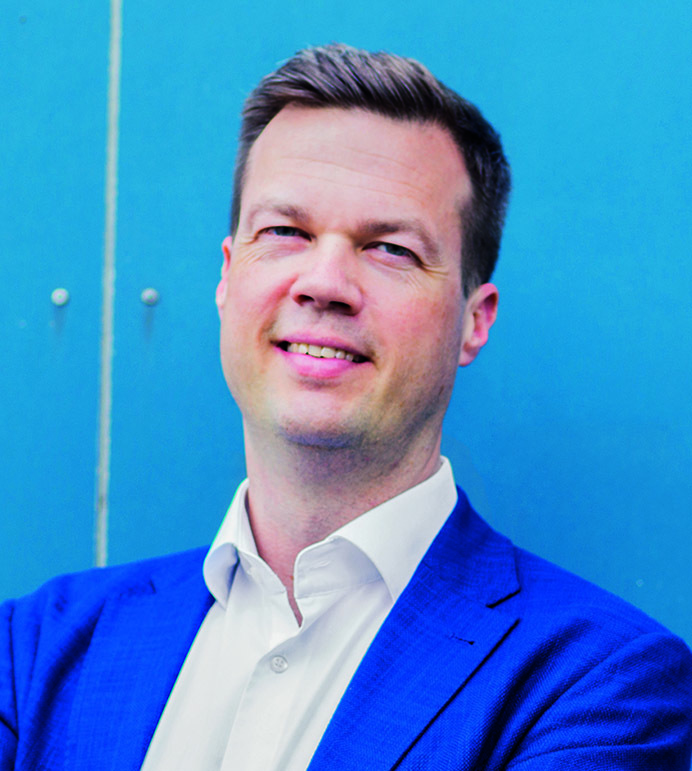 Torsten is the Executive Chairman of CUBE , a global ecosystem to connect startups with leading industry players. He has assembled a team of international experts with extensive experience with industry and startups. CUBE is backed by several board members of global corporates across industries. Hi, happy to be here. Yes, I’m Torsten Oelke the Execute Chairman of CUBE, a Global Innovation Ecosystem. Tell me more about CUBE? The main aim is to bring together the new innovations, from startups especially high-tech startups, cross industries, so from artificial intelligence to robotics of course on a global scale. To help them partner with big corporates, conducting more business for them and bringing these two sides, to establish one and the new innovation together. What stage of companies are you helping with CUBE, typically? It’s a bit depending. Generally I would say the company should be in a stage where it has a product or service ready for market. It could be at least a pilot, it could be that they already have business and have a lot of projects running. You can’t define it by the exact Let’s say if they are one, two, three, four, five years around. This is especially in robotics, you see a lot of companies which were just founded in the recent years, but they have already great products and prototypes. Okay. Now tell me a bit about the CUBE Tech Fair. 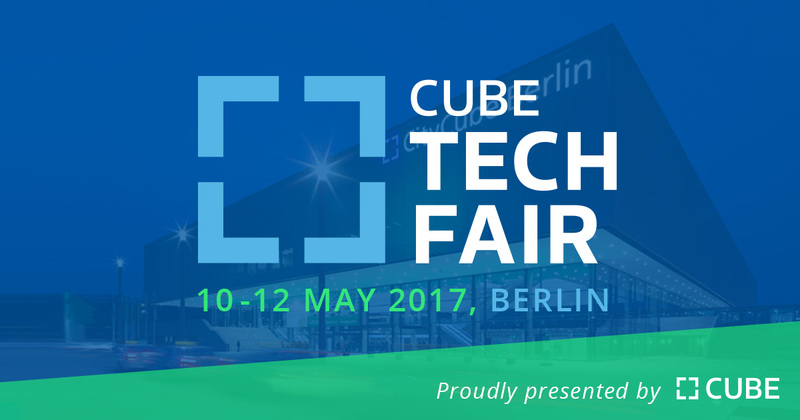 Yeah, the CUBE Tech Fair is happening in May this year from the 10th to 12th of May in Berlin. We have, with the Berlin CityCube, one of the most modern halls in whole Europe with 12,000 square meters. What we’re doing there is that we showcase and let the high-tech startups all of our network exhibit and show their products and services to potential partners. Okay. Now tell me about the startups in your network. What do you mean by in your network? We focus on three criterias. It’s B for B2B startups, meaning that they have an industry focus, might be a specific industry like automotive to digital health, manufacturing machinery infrastructure. It might also be that it is general, so it comes to the second criteria. C, cross industry. This comes for robotics, but for also artificial intelligence and others. Thirdly, G, globally, so we think that these startups in a proportion which is crucial enough to organize such a tech fair, you won’t find in just one specific tech hub globally. You have to be willing to look out for the best ones in each and every, not only tech hub, but also let’s take Pakistani, which might have one, two, three very interesting high-tech startups in that field. We bring these startups to Berlin and showcase like the formal world expos have showcased great invention of the first industrial revolution. We look at them, at least innovations of the fourth industrial revolution in Berlin as the CUBE Tech Fair in May this year. I’d like to talk about a bit the fourth industrial revolution, but first, from your perspective are you affiliated with these companies as an angel investor to them, or as a venture capitalist? How do they become in your network? No, we are a really neutral platform, so for us it’s quite important to not have any specific shareholder relationship. We want not to be in the transaction between the partners and the high-tech startups. Basically, the startups apply to our CUBE Ecosystem. We ensure that we choose the ones where we really can deliver some value, because nowadays, especially for the great startups, time is crucial. They should look into all these differences in conferences, trade fair shows, offers globally where they can get something out for their business. I think it’s very crucial that we make very clear from the beginning where we can help. When we choose them, we basically focus, as I said, B, C and G, are they startups within our focus where we have partners where we can matchmake them with? Gotcha. Fundamentally, you connect these startups to relevant people. This is how the CUBE operates? Yeah, exactly. The relevant, you mentioned it’s the crucial thing. Because to bring established larger companies together with new, fast acting, innovative high-tech startups, it means that for both sides, you have to set up and prepare a bit before they meet, to make the most out of it. Otherwise, typically both sides tend to waste of a lot of time by discovering who’s the right one, by discovering to which person I should talk about. With the high-tech startups, it might be typically the CEO, that is a bit easier, but from the corporate side, it’s so difficult to find out to whom to talk to when it comes to specific product or service you want to sell or to partner with. We help there in advance, that when the startups and the companies and the partners meet, that they meet for the purpose to conduct business together and that this is really the aim of the meetings and the matchmakes we organize. I see. In the meetings, how do they conduct business? Say they’re finding programmers or something, or are they finding people for manufacturing to manufacture their goods? What kinds of things are we connecting them to do? From the startup perspective, it’s probably mainly sales. Let’s assume a robotic startup has a certain product or service. They typically want to sell or partner, or run a pilot. An industry player in the B2B business is a potential customer and needs the serves of product for their digitalization services, then we bring them together. Typically to name some examples from partnerships which have really already been done, we have done startup from Shanghai and Switzerland, [Scan Trust 00:09:38]. What they basically do is to secure QR codes and another company from Europe, Leybold, who produces besides others, the vacuum pumps, they need it for a project. They support, of course you know, the Hyperloop project in Geneva and they support via the vacuum pumps one of these specific HTT projects. That was necessary to label, because it’s global, it’s decentralized, it’s not a typical classic industry environment like Hyperloop organizes its business. Basically, Leybold needed this secure QR codes to be labeled on the vacuum pumps, which are sent around the world and tracking them and managing them. This was a project we initiated last year in April and it was the first stage, the first part of the product, the project was finished by end of August, which is as you can assume, a very fast project. Just to make it clear to what CUBE’s business model is. You guys act as a liaison between companies, largely in the area of manufacturing to connect people where they need something done. You help them find an efficient way of getting a product or piece of a product. Is CUBE profit or non profit? Okay. Then you take a small tax or a small percentage of all the work that is done, I suppose by doing this connection? No. No. We don’t do it, because we think that we have to be neutral when it comes to the transaction and not being biased or have an interest, a business interest who should come, I assume. I see. Yes, then the incentives can be wrong. It’s for the startups, completely free. The corporates they pay, there are different models to engage, the typical one is to find a partnership as we call it. As an annual membership fee where they can get via different platforms into that matchmaking mode which I’ve described. One main module of course is the CUBE Tech Fair in May this year, we talked about. We’ll take more about, yes. The companies pay to be a part of it? Tell me a bit about the CUBE Tech Fair and the prize that you’ll be offering one of the startups. Again, CUBE Tech Fair, 10th to 12th May in Berlin this year is a fair where you can see approximately a couple of hundreds of these global high-tech startups. Showcasing their products and services, especially in robotics. It’s interesting not to only hear about the solution, but really see it in actual light. I think that’s a fantastic thing about the whole industry 4.0, this manufacturing machinery and of course robotics, because you can really get an great impression of what it means to have a new product there. I’d like interrupt with two things. First, can you tell me a little bit about some of the robotics companies that you have that would be attending the tech conference? Of course, we have the Trident, which is a company using robotics for construction work. It really revolutionized, the founder [Yelen 00:16:05] Schwartz from Israel, Tel Aviv. It aims to revolutionize the way construction is done nowadays. In very established, let’s say very traditional way of doing construction and using the robotics technology to make it more efficient, safer and bring it really to the new age. That’s one example, one other example I personally like very much is Open Bionics where the founder is also connected to you guys, Robohub. What I really like, you all know the piano player with the robotic hand, so it really brings a solution to a problem which can be very personal, if you think of friends, family or people. That are disabled in that way? Yeah. It really changes the lives like that. Explicitly, they’re using rapid prototyping, so 3D printing to print prosthesis, upper body, upper limb prosthesis. They’re making them much more affordable than was previously done and they fit better too, because they’re taking 3D scans. The other thing I wanted to ask was, what do you mean by industry 4.0? Are you talking about a fourth industrial revolution? Can you tell me what that is? Yes. In the context of CUBE, I always like to point out when we had the, what we now call in history the first industrial revolution that’s up there, typically the great startup founders at that time, they were called the engineers. They invented a car motor for instance, like Gottlieb Daimler did in 1889 and with the car motor, cars were not around at that time. With that motor, he went to Paris to the World Expo at that time. A French company, Panhard et Levassor, they were impressed and took that motor into one of their machines and one year later, they showed the first French car with the motor from Daimler. Out of this, nowadays we know of course Daimler, but also the French company is now known very well because it’s PSA, Peugeot, Citroen. This shows that in the first industrial revolution, it needed really for the great inventors to have a physical place to bring together partnerships between established companies with these inventors. Then the fourth industrial revolution is a bit of the same problem or challenge we have globally, so many great in all industries basically. New inventors, inventions, great stuff, we have even new sectors which haven’t been there before. It’s not about only that we look into established industries like automotive or digital health. At that time in the first industrial revolution where nobody had a clue that automotive is an industry, but nowadays robotics or artificial intelligence is not for many people an industry like automotive or digital health. I think the great thing here is it’s so driven by digitalization, we call it, but it’s not only that. It’s also driven by new techniques, new inventions. The term exponential is used so much, maybe a bit overused, but it clearly has a point in the fact that we cannot with our human brains imagine to what it means to live in these times and what is possible, which means basically that everything is possible, even the unimaginable. Gotcha. Okay, so exponential growth and digitization seem like the things that are leading us to a fourth revolution. Exponential growth, that refers to Moore’s Law where transistors double and this kind of thing, giving those more processing power. Then other things like solar cells and many other technologies follow this same exponential thing where they double in it. The line kind of looks like a line in a logarithmic plot. I see. Would you tell me a bit about this €1,000,000 prize that you’re offering? It’s another part of the CUBE Tech Fair in May. We have what we call a CUBE Challenge running, where the global high-tech startups, besides applying for ecosystem, they can send applications. It’s a continuous process and we already have a couple of hundreds which are taking part in the CUBE Challenge. The prize indeed is €1,000,000 in cash with no strings attached. The reason we are doing it, first of all no strings attached because some of the prizes who have such a big amount and use it for marketing, turns out to be Let’s put it that way, a thousand nice devices worth €1,000, which is not very attractive then. It’s really €1,000,000 in cash and why it’s no strings attached, because as a neutral platform, we think we not only want to have this as a kind of marketing tool. We really think there should be a cost behind it and the cost is for us to enable the winning high-tech startup, undepending which financing realm they are in, or what stage of development they are, they should be able to use this money. They will get a lot of attraction and visibility with it and that should lead on the CUBE Tech Fair and afterwards to additional projects they are running. They will need more resources and even we don’t say what they should use the one million for, if we choose the winning high-tech startup right, then they would spend it for company purposes to bring the company to the next level. The best outcome for us would be that we choose the right one, who one year later, when they might hand over the next prize to a startup, can tell them that year they have used these financial resources in addition to what they were able to do to accomplish a great, great industry project. Which is then very well known and on a global perspective, the industry now knows this specific high-tech startup much better than one year before. CUBE Tech Fair and the CUBE Challenge €1,000,000 prize helps them to get that visibility. Now I just want to make it explicit how this is different from normally investing in a company. There are different modes when or how companies can be invested in in their early stages. One option is that the money is turned in to equity, so this is ownership of the company and this is used for voting. They get a decision power and they also get a stake in the company, usually just a percentage of the company. Then when the company grows bigger, this percentage, the value of the company increases and then they make profit accordingly. Also, there’s something called convertible debt. Convertible debt is where the money is invested in the company and then at evaluation stage when the company is said to be worth this much, the amount put into convertible debt is turned into shares. Depending on how a company is valued, this can make it so that the founders are heavily deluded, so they own very little of the company, or that the person who did convertible debt receives very little of the company, depending of the valuation. This is very different than either of those, ’cause it’s just an injection of cash into the money, or into the company which can be used for purposes, correct? Yes, a power shot. It just basically gives energy into the company. Now I’m sure there must be restrictions though with the company accepting this prize money. You say no strings attached, they then come work with you in Berlin in this kind of thing? Or they can do whatever they please? That there really is no strings attached. Okay. Why $1,000,000? Why not $10,000,000, why not $100,000? Euros, I’m sorry. I think $1,000,000 is on a level where it’s I don’t know if there are any other prizes like it, but it’s very seldom, so it’s probably something where you can release then out of the crowd and get visibility. That’s as I’ve said, the main aim of that prize. Gotcha. Is there any precedent for this? Are there other similar competitions or ways of funding startups, where it’s just money that’s handed to them? Gotcha. How did you decide to do this? What was the initial idea? Of CUBE as a whole? How did you decide that this was the approach? I understand the rationale, you want to give them visibility. How did you first come upon the idea of doing something different which would Typically prizes are rewarded and they take equity in the company, or something like this. How did you decide that you would give them something with no strings attached? I think the rationale behind it is that in the fourth industrial revolution and what we are doing, the high-tech startups and the founders are key. That they are the ones who established industries, in society should look at and watching closely what they are doing, because there’s the potential, that for the whole planet. we can solve a lot of of these big problems which haven’t been solved even by technology in the past. The potential to get rid of malaria for instance. I see clearly in these new engaged founders and their technology and their inventions. To value that and to appreciate that and to put the spotlight on them, was the idea, so it’s more rather than a consequence to also value it with money. Okay. This is the first year that this is happening, correct? It’s going to be annual thing? Where €1,000,000 is awarded, or some amount is rewarded to the best company that has applied? Yes, you’re right. The new approach to solve or at least add some contribution to the unsolved challenge to bring in innovation and the established companies together. It’s a new approach and after the first year, which ends typically with the highlights of the CUBE Tech Fair in May, we will evaluate what worked out well and what not, it’s a long term initiative. With our partners, we have contracts which are for the upcoming years and the specific elements will be for that upcoming future will be, of course, it’s a new initiative also altered with the results and feedbacks we got. I see. Now you mentioned choosing the right one, choosing the correct startup? Can you tell me about a bit how companies are vetted? About the judging panel and about this? Yeah, besides typical criteria which judges like Steve Wozniak seeing a startup which would obviously apply. Team business model, scalability, how feasible is the product or service. Behind this standard criteria set, it’s the impact, the technology and of course not only technology, because it’s then the founder team, the whole company, the impression from the quality of the pitch. What impact will the winning high-tech startup have, not only for the industry but also globally when it comes to this transformation and transition period we are living in? You mentioned fighting malaria, in this kind of thing. Some of these companies are aiming for solving some of the larger problems of humanity? Diseases, or I don’t know. Are you trying to have companies that are doing something that is generally good for the world, rather than a company that will just be profitable? Let’s put it that way. I think if a great company does it right today, it is not only profitable and has on a financial and business level, a huge success. It also within our scope, alters the way we are doing things for the better. I’m quite convinced that it’s in that scope with that technology, it’s not the way that we just do something for profit. It is also a huge impact on society. It might have been an indirect impact, because it’s a B2B focus so there’s a chain of other companies, events, whatsoever before it really goes into maybe via consumers into society. Take your Open Bionics example. It really has a great, great impact and it is also a potential company who can be very profitable, very successful in business and it’s two sides of the same coin. Okay. How would companies apply and then when is the deadline for this? They apply globally via our website, so cube-global.com. They would find the typical application form. It’s supported by our partner F6S, who is very experienced in setting up for this kind of applications. From there, it’s reviewed by us, by CUBE, our team. The deadline is close to the Tech Fair so the startups have still in the up coming weeks the opportunity to apply to that CUBE Challenge. All audio interviews are transcribed and edited for clarity with great care, however, we cannot assume responsibility for their accuracy.